WhatsApp is the most commonly used social media app that is used for almost every purpose like photos and videos sharing. WhatsApp stores all of the media files (sent or received) on your device. But, this normally hit the phone storage limit within a few weeks or months. Means, no more space on your phone to store the new files. Here, the most complicated part is started... How to download the new WhatsApp files on your device? Without downloading those on your phone you can't view this. 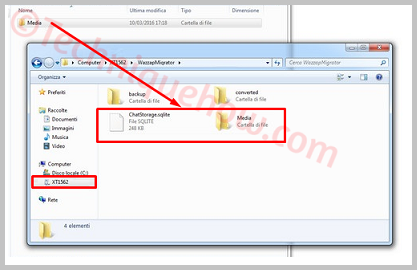 As you know the files which are sent by your contacts, are downloaded automatically. But, in this case, if your contacts send you the files, these files will not be able to complete the download. You can move the old files to the external SD card and also change the default storage to the SD card for WhatsApp media. But, to make the SD card as default storage for WhatsApp media, you have to use the third-party app on your rooted phone. On the lower versions of Android, below 4.4 this is possible without any root process. 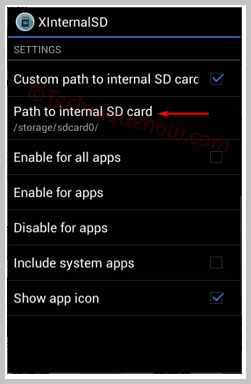 How to Move WhatsApp Media to External SD Card? When you don’t have rooting access in your phone, you can follow this method of transferring the WhatsApp media to the SD card and make it the default storage media place. To proceed any further, you need to connect the device with the USB cable. Make sure it is compatible and works along with the mobile phone. After that, you should start the process. Step 1: Connect a working and a compatible working cable to your Android Phone to the PC. The PC should detect the USB cable, so connect a good quality one. Step 2: After you connect the Android phone to the PC by using a USB cable, the PC will detect the phone. Then, go to the location where the device folder is situated. Then, select the folder. Step 3: Find the WhatsApp folder in the list and select that. Step 4: After this step, select the folder and copy it carefully to the other folder, SD memory card folder. Step 5: Now this is one of the methods you can employ to make your SD card folder in your phone to be the default folder for storing your WhatsApp media. That's all. You are done. Now your phone memory will be empty to place new data. By using the third-party tools like XInternalSD, FolderMount you can make the external SD card as WhatsApp default storage. Just need to root your android device. These apps can help you to select any others apps and games to store in your SD card by default. You can also make SD card folder as the default folder to save your WhatsApp media. You can download XInternalSD. This helps in changing the path for any customized path. After downloading the app, you should open the user interface of XInternalSD app. Then, change the internal SD card to an external SD card. Now, select WhatsApp option from enabling for apps. 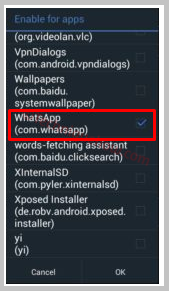 Copy the WhatsApp folder to external SD card folder. After this, make sure you remove or delete the WhatsApp folder from the internal SD card folder. Once, this is over, you can see that your WhatsApp media is getting saved to the external SD card folder which you have done with the help of the app. These are apps you can start with if your phone has root access. Also, apps like Photo & File Redirect can easily set or change the default storage without any root.